Casablanca ceiling fans are designed with personality in mind. That puts them in a whole other category from the ceiling fans of the past. Unlike those bulky looking ceiling fans we all know and exasperatedly tolerate, Casablanca ceiling fans are designed to be a focal point in your room—for all the good reasons, though. Depending on the look you are going for, you can find Casablanca ceiling fans in a variety of styles and colors, all of which are specifically designed to give your room a modern, chic, and functional new accent piece. Why choose Casablanca ceiling fans? Casablanca gives you options to choose from. Which room in your home are you redecorating? Is it a small room that needs lots of air circulation, like the bathroom? Is it a large room that needs an elegant, modern focal piece? Is it an outdoor space? Whatever space you need to rethink, a Casablanca ceiling fan can offer you the chic character you need to complete your upgraded look—without having to spend a fortune on a total overhaul of the space itself. 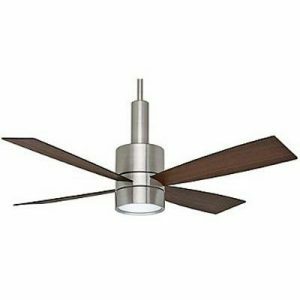 Casablanca ceiling fans come in a variety of finishes with a variety of blade styles to choose from. That means that, no matter what your current décor looks like, and no matter whether you need an indoor or outdoor solution, you will be able to find a Casablanca ceiling fan that will not only fit in, but will become the star of the show—and you won’t have to redecorate to make it work. Plus, it will add a ton of elegance and style to your space, and the added functionality it will incorporate into your room will increase the comfort level, practicality, and functionality of the space itself. You can make your room 100 per cent more desirable to be in, and all you have to do to accomplish that is choose a Casablanca ceiling fan. Casablanca ceiling fans offer you an easy-to-incorporate designer element for your space—but that rich, detailed finish isn’t everything. Casablanca ceiling fans also offer energy efficiency, and that means you can increase the circulation of your home, cooling it in the summer and circulating warm air through the home in the winter, while consuming less energy. Casablanca ceiling fans will make your home more efficient by providing low-cost, low-energy comfort. If you are looking for a way to add modern elegance to your space without having to pay an arm and a leg for extensive renovation expenses, take a look at Casablanca ceiling fans. Their rich finish and elegant detail will add the designer décor you need to make your space look great without breaking the bank. Visit Crescent Harbor today to check out the selection in our online catalogue.